Moe Htet is a privately owned estate of 250 acres, located in Northern Shan State at 1,100 masl. Only fully ripe cherries are selectively handpicked. Once the cherries are harvested, it takes about two hours to deliver them to Mandalay Coffee Group where they are washed, dried and stored prior to exporting. 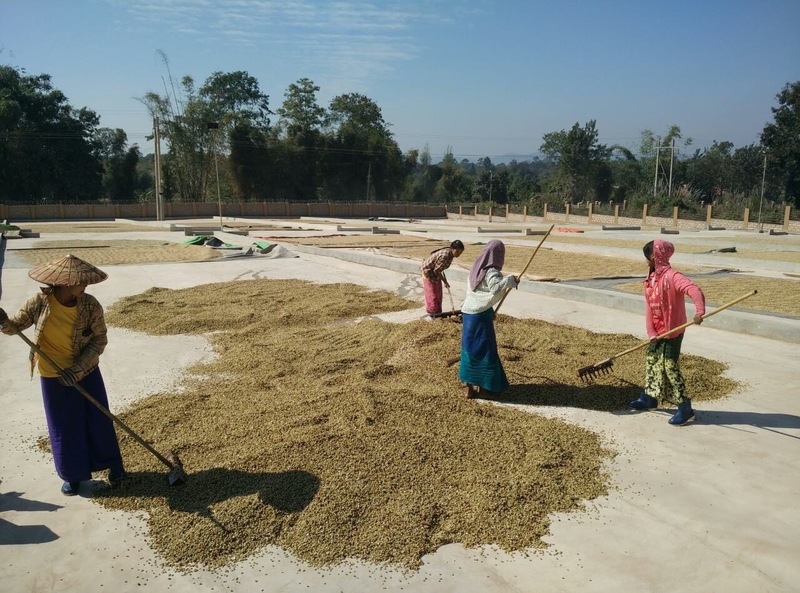 Mandalay Coffee Group processes coffee for many smallholder farmers across Ywangan villages and most of the estate farms, which are well taken care of with the proper amount of fertilization and irrigation. Each farmer usually cultivates less than 1 hectare of coffee, with multiple varieties of Arabica inter-cropped with jackfruit, djenkil bean, papaya and other crops.